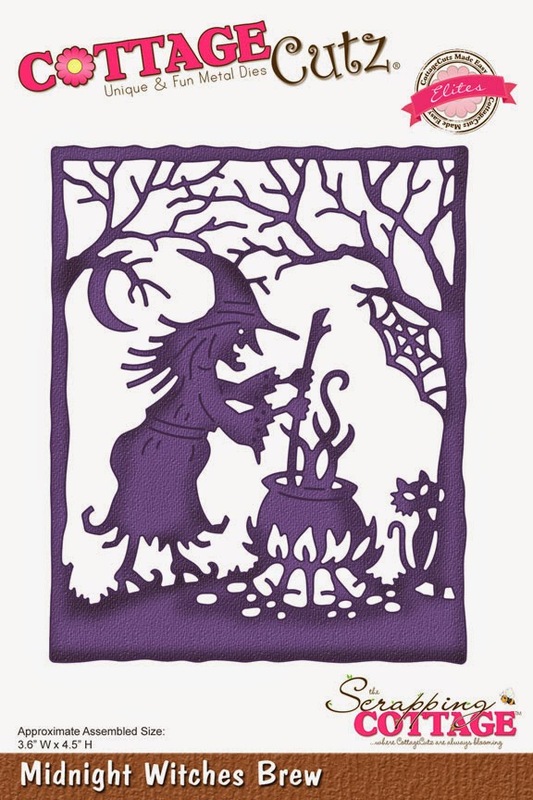 Today, I am sharing a NEW Halloween card I created with Beautiful Halloween Collections of dies from CottageCutz Company. First, I created background. I used 2 colors of ink (yellow and dark orange), sponges and circle shape cut for moon. Using two colors of ink I created background with big moon. Then, I cut "Midnight Witches Brew" image out and glued on sponged background. Added white gel pen on images and glued sentiment "Happy Halloween". Great Halloween project. Colors are perfect and the whole scene also. Absolutely Bootiful Halloween card! I love how you did the background. Gorgeous! I just love Halloween cards and this one is gorgeous. Just lovely. The details are amazing. Quick & Easy Birthday Card!